MVAgusta.net > Technical and Hands On > Maintenance & Tech. Issues (3 Cyl. Models) > Check your clutch basket! The guy doing the 15,000mile service was told to check my clutch basket. Thankfully all the broken bits had been caught and no engine damage. 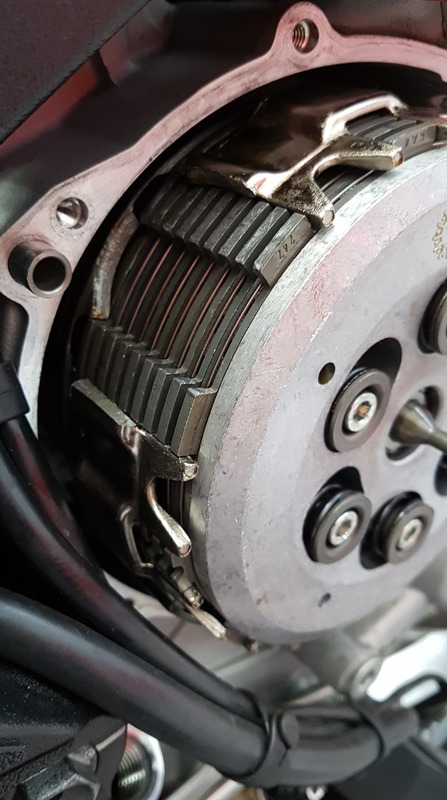 The bike was running sweetly and there was no sign of this damage - it might have been there since I picked it up for all I know - as you'd never know unless you either dropped the sump (and saw the bits) or took the clutch cover off. 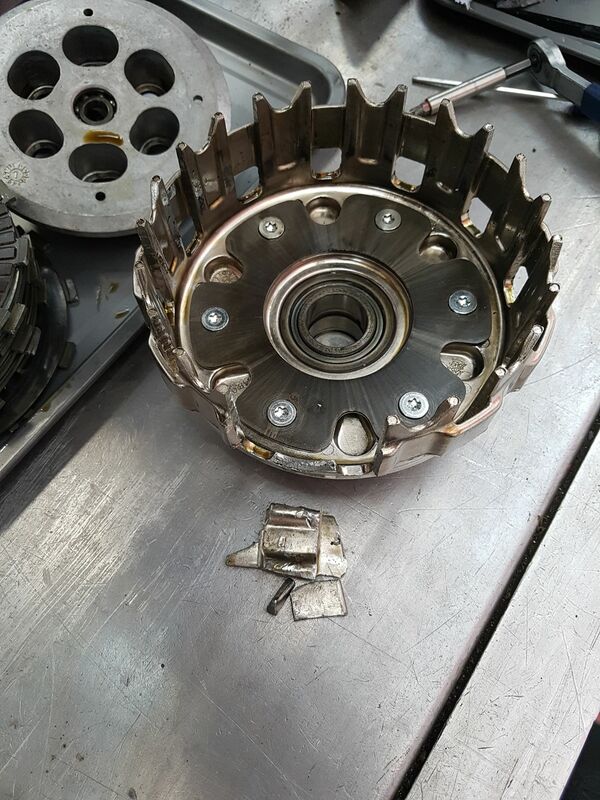 So yeah - check your clutch basket! Some early GSX-R Suzukis did this. Usually the result of hard launches, but a problem regardless. Glad they caught it before it caused serious problems. Just sent my bike to the workshop today and this is what they have found so far. My bike is a 2015 F3 675RC with just over 3k miles. They are going to assess the damage further but fingers crossed it's only the clutch basket. What year and model are your motos? Do you use quick shift feature? Percentage of Q/S usage estimate? Mines an 800 2015. 15,000miles. Quickshift only up, reckon 80% of up shifts using qs. Yes, all 3-cylinder 2015 and 2016 should check the clutch basket. Also, if your 3-cylinder 2015-2016 (all models) is equipped with hydraulic cam chain tensioner, consider having it modified to be manual instead of automatic. What makes you isolate it to the 2015 - 2016 year models? My 2012 has the same (or at least looks the same) clutch basket? At the time of production for 2015-2016 models, MV had supplier problems and lacked adequate inventory tracking to isolate problem batches.